Packaging - iusb - Promotional USBs like no other. 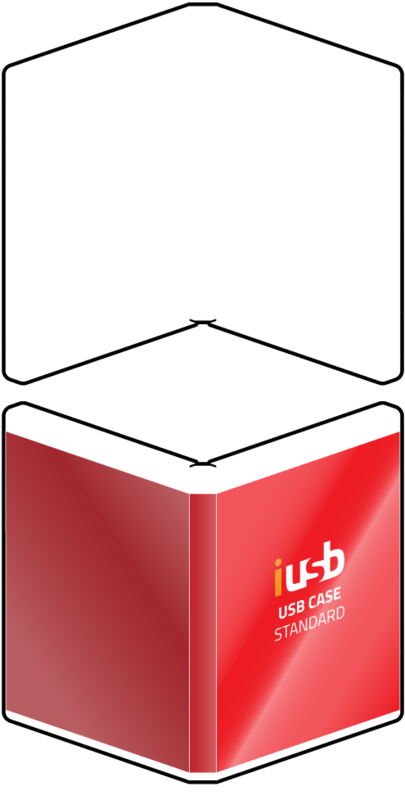 - iusb - Promotional USBs like no other. Perfect packaging for every occasion, exclusive to iusb. 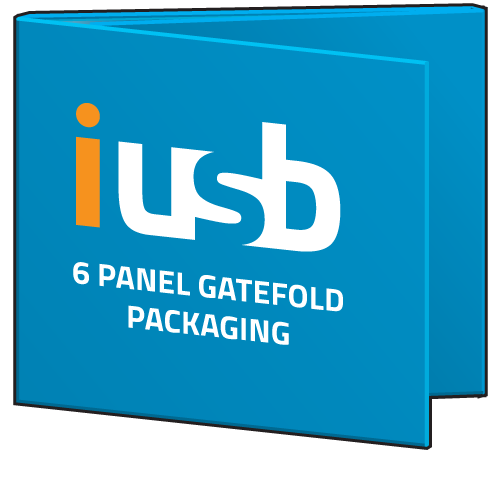 The Gatefold USB is a great example of the type of speciality packaging that is exclusive to iusb. 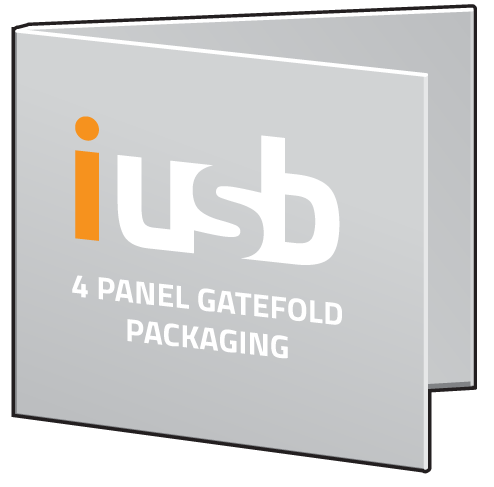 Made from rigid cardboard, we offer the USB gatefold in a 4 and 6-panel variations. Available in Standard/Matt/Gloss or recycled finishes with options to add gold foils and extra booklets we have configurations to suit any application. With a similar construction to the Gatefold USBs, but with the addition of a tray to hold a Card USB, the Digicase USB really stand out as-as a beautiful piece of packaging. It also comes in 4 and 6-panel variation and also has the same range of finishes as its gatefold companion. The USB Gatefold is only compatible with USBs from the Card range. Please note not compatible with Card USBs or with any of the mini USBs. With a similar form to our USB DVD Style Card - Standard the USB DVD style Case - Standard Card is pretty much the same, except, wait for it, it holds the USBs from the Card range of promotional USBs. 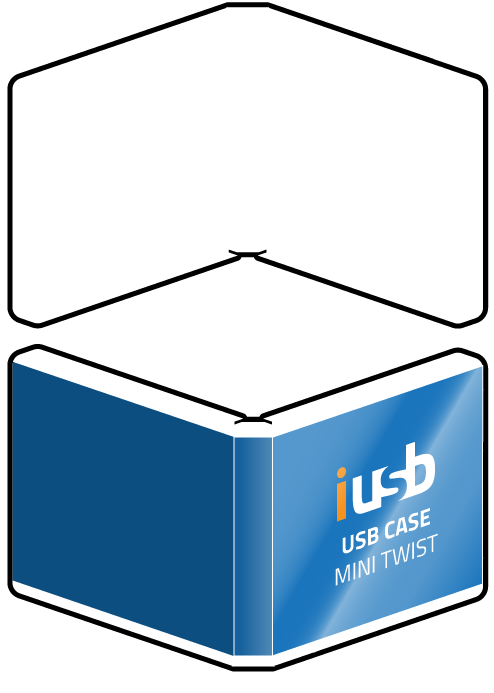 The USB DVD Style case - Mini Twist is another iusb exclusive that won't be found anywhere else in Australia. Its small Form factor makes it a popular choice. It is compatible with the Twist USB and a few of its variations so if there is a model that you would like to team up with this USB packaging let us know and we can see if it is compatible. 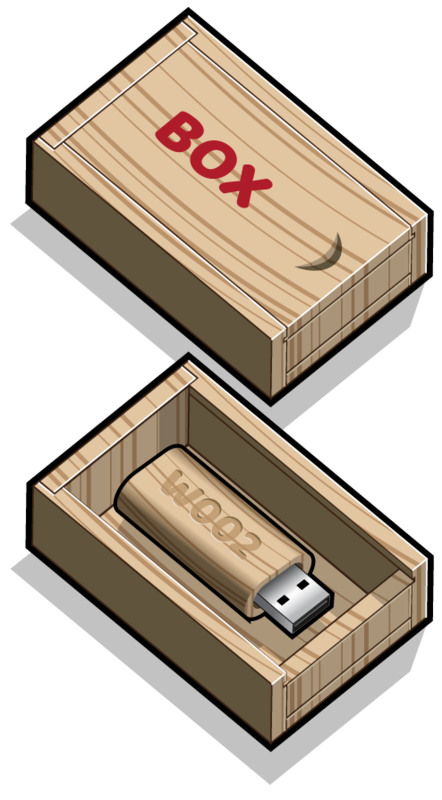 Our Wooden USB boxes are available with both our 48hr and standard ranges promotional USBs. Usually paired with USBs from our wooden range client have been known to team them us with others from the range - So as we say do whatever you want. 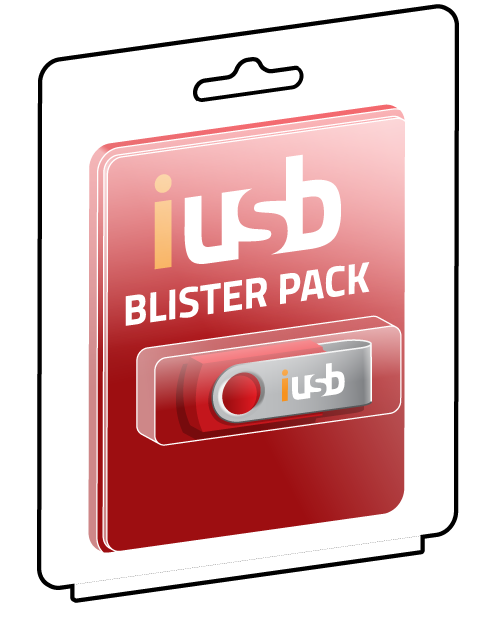 We have simple Blister packs that can hold many of the full-size Promotional USBs from our range. We can also print info cards to slip into the back of the packs so that additional information can be shared about your product or promotion. 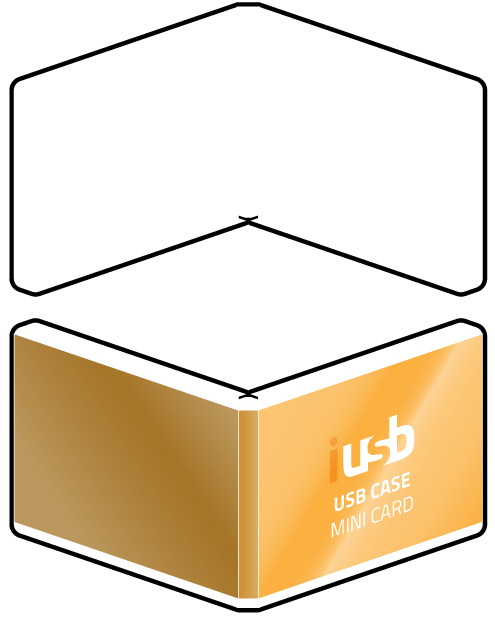 Packaging is an important part to any USB project and iusb are the experts. We carry it, we understand it and we make it.  If there is something that you have seen or have a concept you would like to see come to fruition, let us know - we have worked with 1000s of clients to help them realise their custom project and we would love to help you too!